Today's lifestyle runs at a faster pace than ever. Adding a swimming pool, to your outdoor family room, will allow you to slow down, relax, and enjoy the moment. A swimming pool can become a morning meditation spot as you swim laps before your day begins, a place to watch the kids jump and play in the hot summer sun, or to share a late night cocktail with your partner, as the moonlight reflects on your pool water surface. Water has always been a natural relaxant for the human mind. Allow us to create this backyard oasis for you, or assist in maintaining one you may already have. 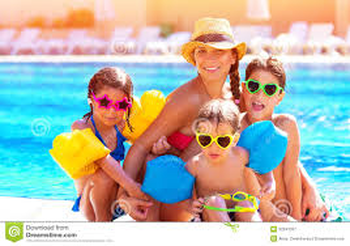 At Foxx Pools by Charles Burger, our motto is Family, Fun, Fitness. Enjoy! The number one reason for building a pool is for "the children". Whether your grandchildren, or your own children, we offer a pool to fit every lifestyle. The backyard swimming pool is one of the most overlooked forms of exercise available. From relief of arthritis, to healthy heart, pool exercise lets you keep cool while working out not just for you, but for you canine too!